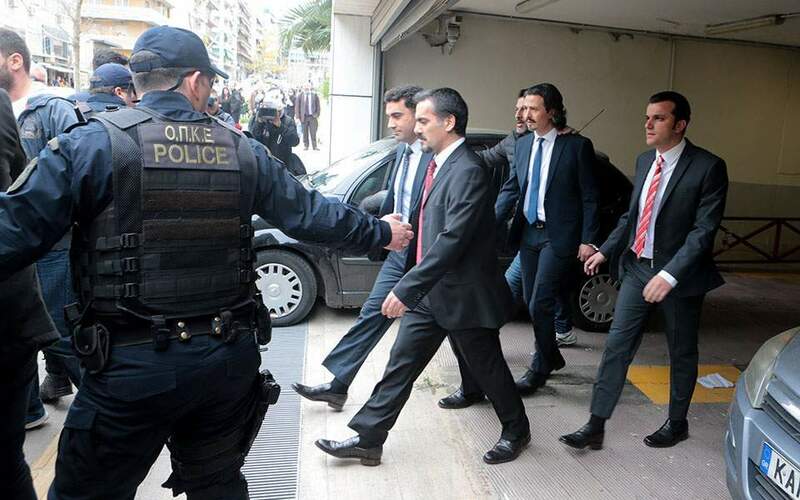 A Greek committee approved the granting of political asylum to the third of eight Turkish servicemen who fled to Greece after the coup attempt in Turkey in 2016, Ekathimerini reported on Thursday. The situation of the eight servicemen has strained relations between Turkey and Greece, as Turkey has demanded the men be sent back to face trial for taking part in the coup attempt, which it blames on the Islamist Gülen movement. After Turkey grabbed six members of the Gülen movement in Kosovo in March, fearing that it may try the same in Greece or even attempt to assassinate the eight servicemen, Greek authorities released the soldiers from administrative custody in May and put them in a secure location for their safety. In response, the Turkish government suspended a bilateral deal for migrants who are not eligible for international protection to be readmitted to Turkey after crossing into Greece. The Asylum Committee will gather in the coming days to make its ruling on the asylum application of the remaining five servicemen, who according to Ekathimerini will likely also be granted asylum. A Greek committee on Thursday approved the granting of political asylum to the third of eight Turkish servicemen who fled to Greece following a failed coup in Turkey two years ago. Turkey and Greece are no longer at each other’s throats, but a full rapprochement is still unlikely, British magazine The Economist said. Turkish President Recep Tayyip Erdoğan’s Greece visit was not as ‘historic’ as Ankara wants to portray it, the magazine said, as Erdoğan himself had visited the neighbouring country as Turkey’s prime minister in 2004 and 2010, when the bilateral relationship was getting better. It has since declined due to airspace violations, territorial claims over inhabited rocks in the Aegean Sea, Greece’s denying of Muslim Turkish minority’s rights, Turkey’s own human rights violations, and the ongoing Cyprus problem, The Economist said. If anything, Erdoğan’s visit was marred by a ‘tense exchange’ with his Greek counterpart who ‘categorically ruled out’ any revisions to the Lausanne Treaty as Erdoğan suggested, or the extradition request for eight Turkish soldiers who fled to Greece after the July 2016 coup attempt. The best one can hope for is that the two neighbours will continue doing business and talking—and keep the provocations to a minimum.